Getting up early on a Sunday morning is not something we look forward to… but this Sunday was different… and we knew we had to be there. The World Bank estimates that India is one of the highest ranking countries in the world for the number of children suffering from malnutrition. This staggering statistic got Quaker to get its thinking cap on & earlier this year, the Quaker Gift a Meal initiative successfully helped provide 2,00,000 nutritious meals to around 4000 children across 12 states in India. 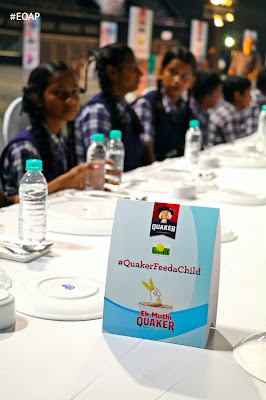 On the occasion on World Food Day, Quaker launched their ‘Quaker Feed a Child’ program to bring a fistful of nutrition to thousands of underprivileged children in India during this festive season. 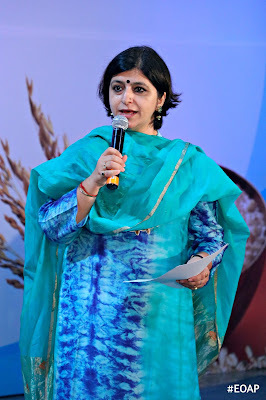 For every pack of Quaker Oats purchased on BigBasket.com this festive season – between World Food Day, 16th October to Children’s Day, 14th November – Quaker will provide a meal to an underprivileged child in India, through Smile Foundation. Quaker has pledged to provide a minimum of 2,00,000 meals to children in India through Quaker Feed a Child during this period. 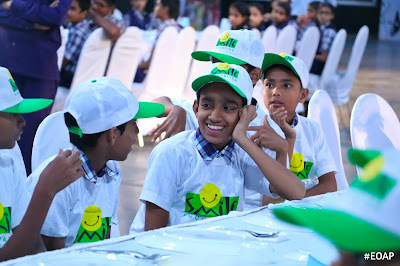 To mark the launch, Quaker India, along with celebrity Chef and PepsiCo’s Nutrition Ambassador, Vikas Khanna, hosted a long table brunch with oats-based dishes for children from Smile Foundation. 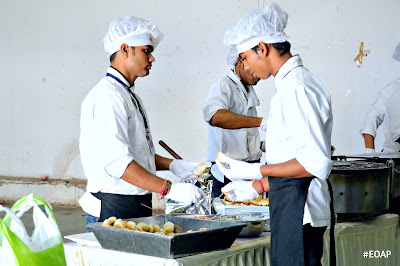 We entered the venue through the pop-up kitchen, where we saw Chef Vikas Khanna over-look every single detail of what was going to be served to the children. Before the event officially began we decided to mingle with the kids who had been kept in the dark about the details of the event to give them Super Sunday Surprise. Actress Saiyami Kher too spoke a few words on how she strongly believes that every little drop helps make the ocean and similarly everyones ‘Ek Muthi’ will help tackle malnutrition. 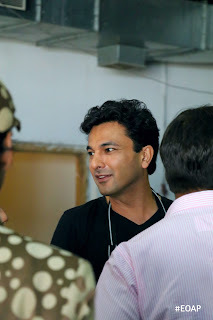 …Chef Vikas Khanna along with the staff present personally served the children and they loved every bit of it. The children loved their special Quaker spread; & to be honest so did we ! 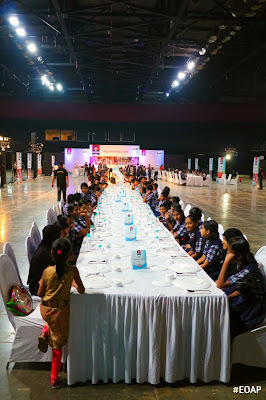 The kids & invitees were served with pizzas, beetroot idlis, burgers, spaghetti and cookies made using Quaker oats! The children were very excited to be in the presence of Chef. 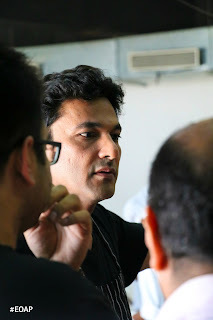 Vikas and surrounded him asking for his autograph. Do not forget that for every pack of Quaker Oats you purchase on BigBasket.com from the 16th October to the 14th November 2016, Quaker will provide a meal to an underprivileged child in India, through Smile Foundation. A wonderful initiative that we are supporting, will you? Win tickets to the Halloween Dessert Crawl, powered by Dineamic !